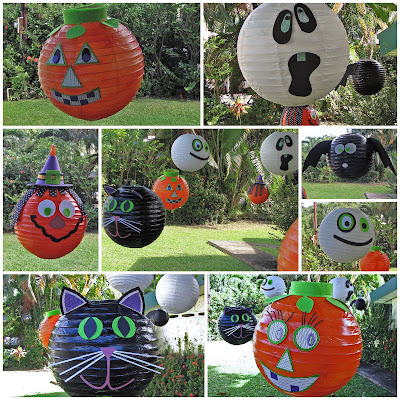 I got lots of inspiration from Halloween projects I saw in Pinterest, here is my Halloween board. I think DD's friends will really enjoy having these lanterns hanging above them during the party! I have another busy but crafty week getting ready for the school's International Food Fair. I am in charge of decorating the booth for Argentina and Uruguay, and preparing souvenirs for the 1000 visitors we are expecting. Will give you some peeks of my projects as soon as I finish them!